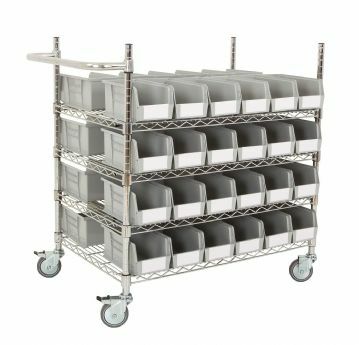 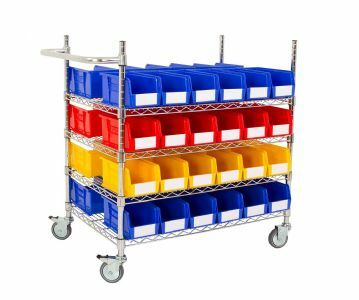 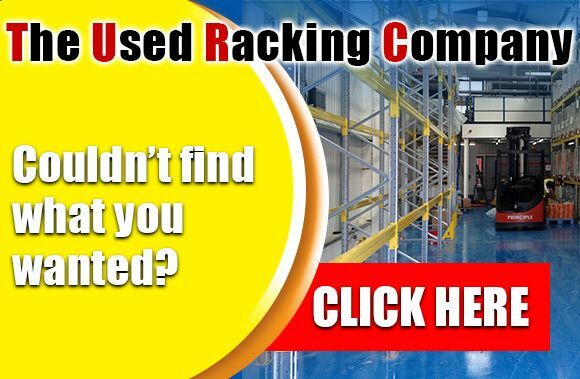 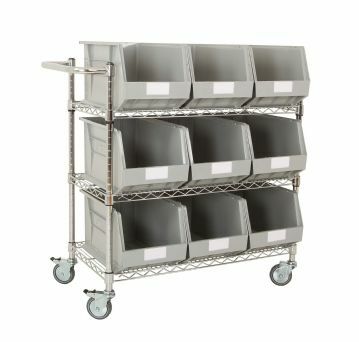 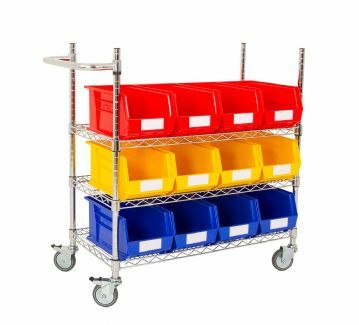 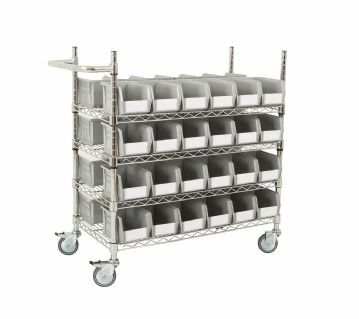 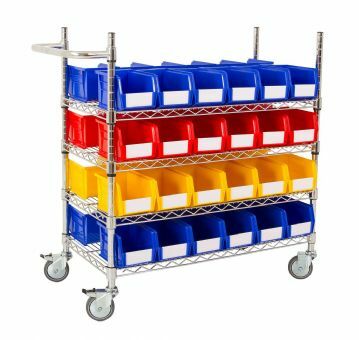 These Chrome wire shelving trolleys and bins provide a perfect storage solution for production and assembly environments, where goods need to be moved line side or to the point of use. 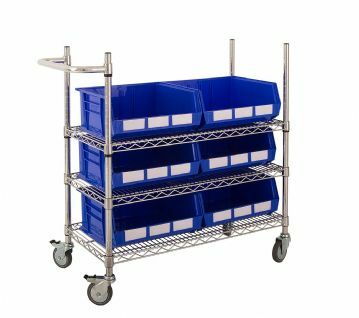 There are 5 kit styles in two versions (excluding Kit E), providing single or double sided options using our most popular RHINO TUFF picking bins. 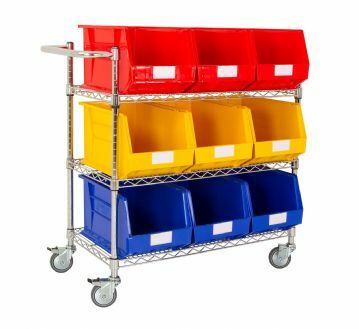 We can supply all 5 kits in the coloured range of bins whilst the Kits A to D can come in *Recycled Light Grey as well.